The Department of Psychiatry in the College of Medicine at the University of Florida is a leader in the Southeast for innovative evidence-based treatment programs for mental health disorders, addiction, eating disorders and obesity. It is our aim to provide a broad educational experience in a multifaceted program while delivering quality care, backed by cutting edge research and exceptional customer service. 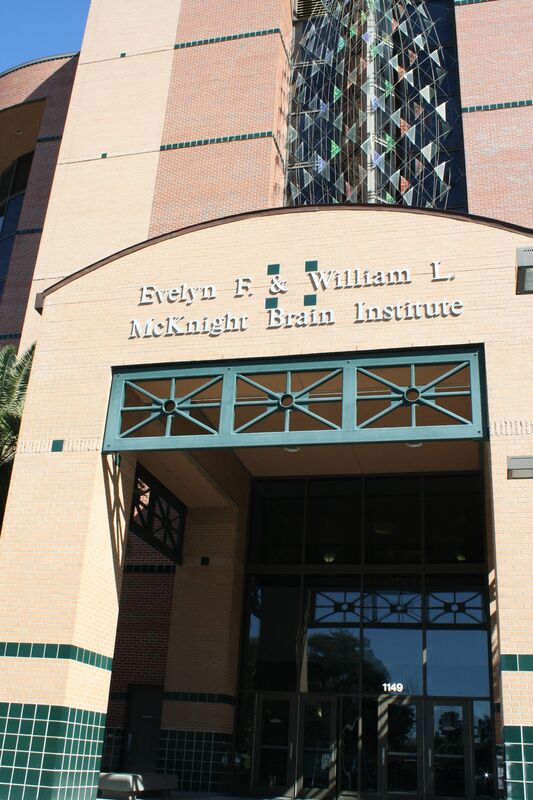 While patient care areas are located at multiple sites, both on and off-campus, the administrative and research segments of the Department of Psychiatry are located in the Evelyn F. & William L. McKnight Brain Institute (MBI) at the University of Florida. Located in a major academic medical center, the MBI-UF is a leading international center of research and education regarding brain and spine-related diseases and is the world’s first all digital, multidisciplinary, university-wide medical research institute. Home to the world’s most powerful imaging research magnets, the MBI is one of the nation’s most comprehensive and technologically advanced centers devoted to brain research. Today, the MBI is represented by over 300 faculty members from 51 academic departments and ten colleges, along with collaborating scientists at more than 65 institutions around the world. MBI-UF offers research and educational programs in nearly all aspects of basic, clinical and translational neuroscience. To the best of our knowledge, there is no other academic center anywhere with this breadth and magnitude of multidisciplinary talent focused on the brain and nervous system and the development of new therapeutics and cures for neurological disorders. Brain institute faculty has gained acclaim for discoveries related to spinal cord physiology, traumatic brain injury, addiction treatment and refinements in magnetic resonance imaging. The MBI is also a site for pioneering studies of new drugs for Alzheimer’s disease and of nerve tissue transplantation. Despite the challenges facing academic medicine, the last few years have been a period marked by growth and development in our three central missions; clinical care, research, and education. Much of the credit goes to the talented and dedicated faculty and staff who share our vision.